Borussia Dortmund failed to hold on to a lead away to a gritty 1. 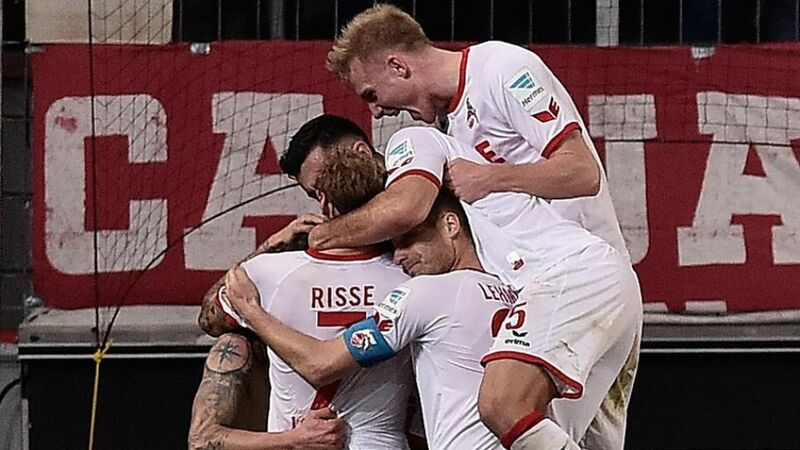 FC Köln side, who staged an astonishing second-half comeback to win 2-1 at the RheinEnergieSTADION on Saturday. Wary of a BVB team that had scored 46 league goals prior to this game, Köln coach Peter Stöger fielded a five-man backline, a strategy that invited the visitors to attack. Dortmund duly did so, and found the breakthrough their pressure deserved when Sokratis headed them in front from a corner. Köln were subsequently forced to adopt a bolder approach but failed to finish a couple of promising moves, giving Dortmund a lead at the break. The Billy Goats were much the better side after the interval, though, and when Stöger brought on attackers Anthony Modeste and Leonardo Bittencourt in an effort to push for an equaliser, the tide of the game turned in the hosts’ favour. Simon Zoller capitalised on a mistake by Dortmund keeper Roman Bürki to pull Köln level, before Modeste ended his 682-minute goal drought with a last-gasp winner to give the hosts a deserved victory. Zoller had an impressive match for Köln, especially in the second half. His tireless running unsettled the Dortmund defence and he was rewarded for his efforts with his fourth goal of the season. Furthermore, the striker’s effort put the wind in the hosts’ sails and paved the way for their late victory. Köln are a team that should never be written off: ten of their 18 Bundesliga goals this season have come in the last quarter of an hour. Sokratis’ goal was his first of the season and just his fifth in the Bundesliga overall. Köln collectively covered 116.85 kilometres in this game; BVB managed 114.05 km.Ilkay Gündogan was on the ball more often (99 touches) than any other player.